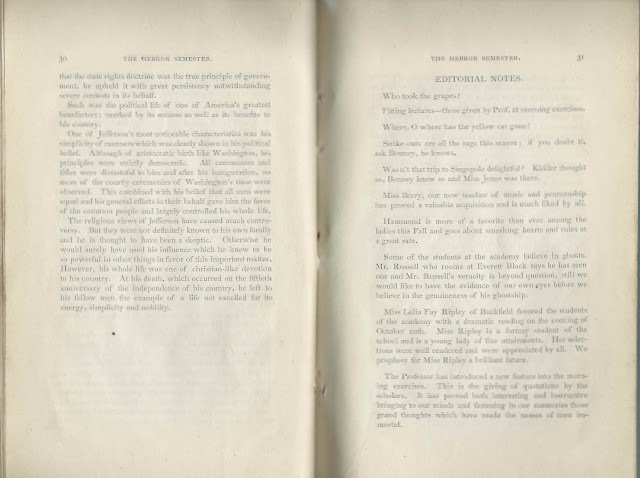 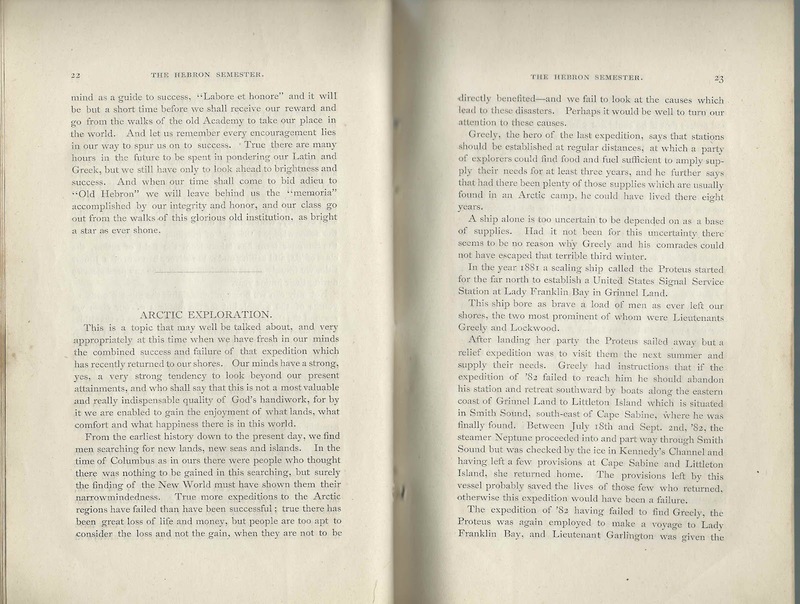 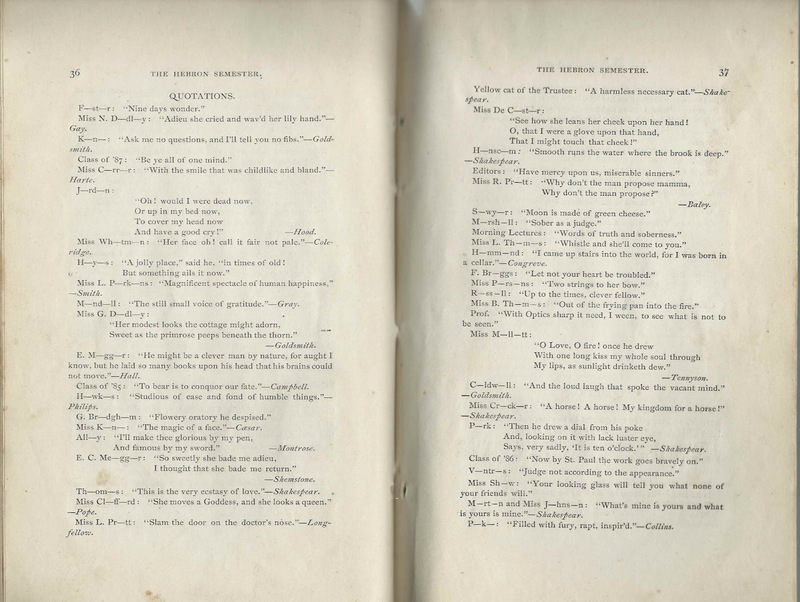 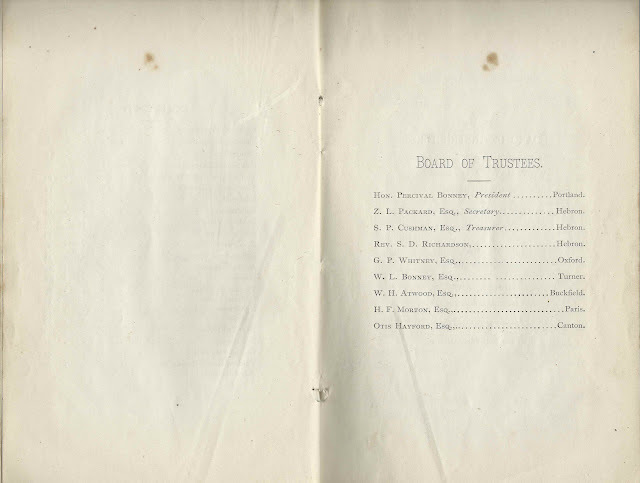 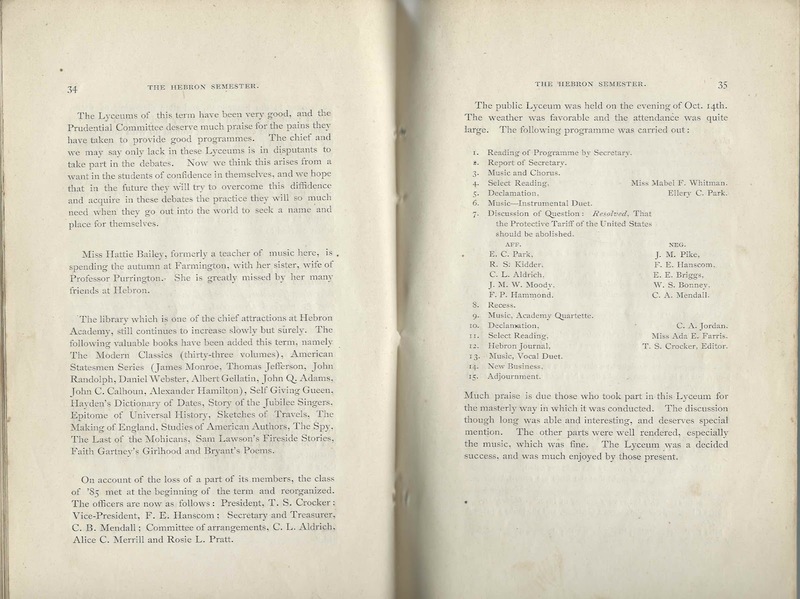 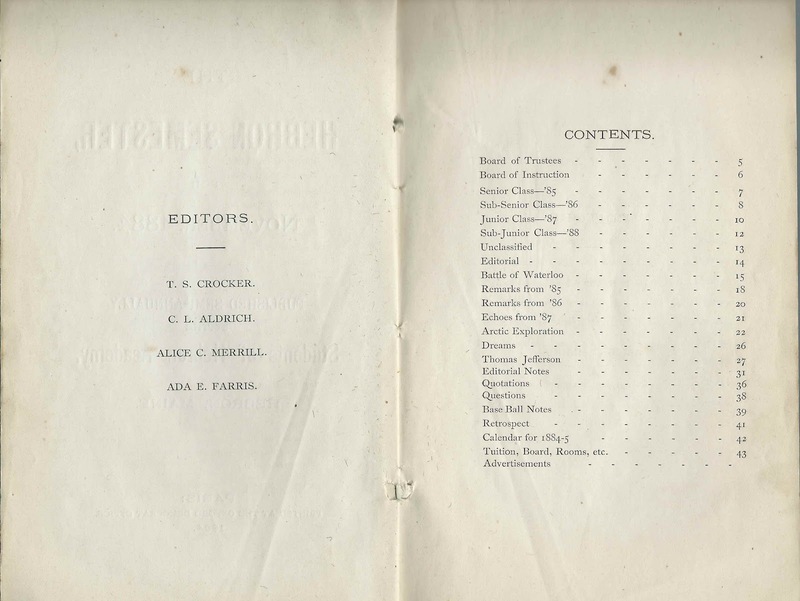 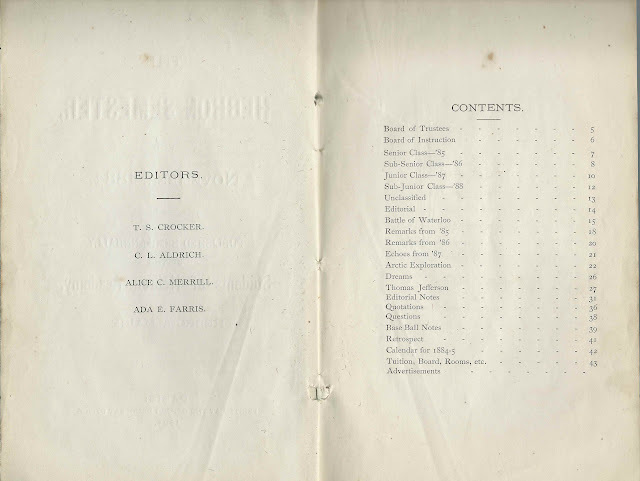 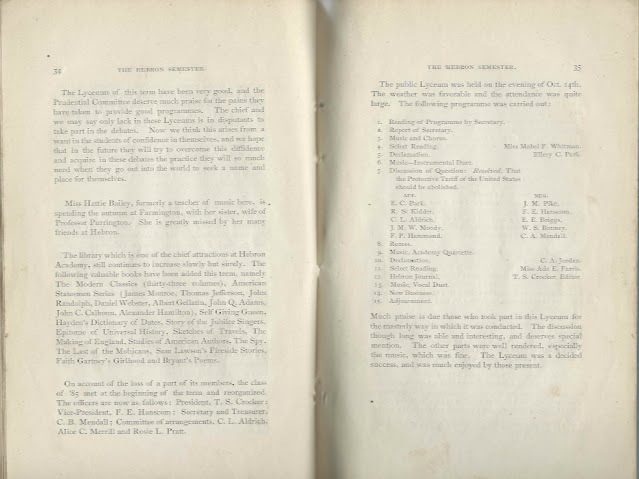 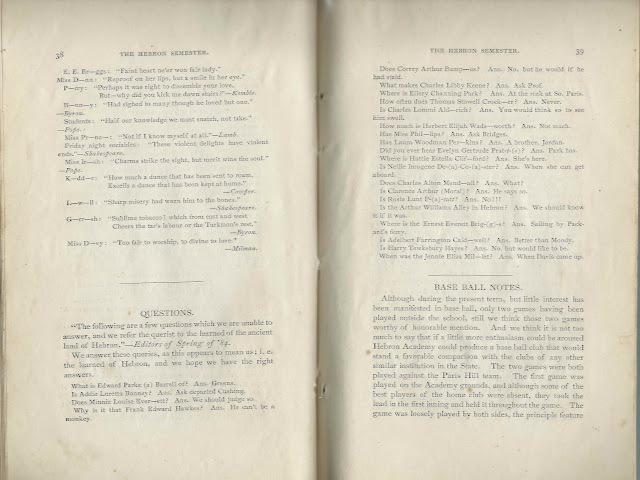 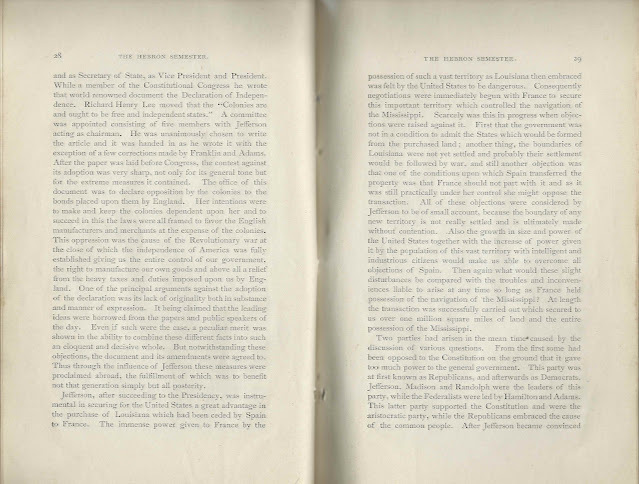 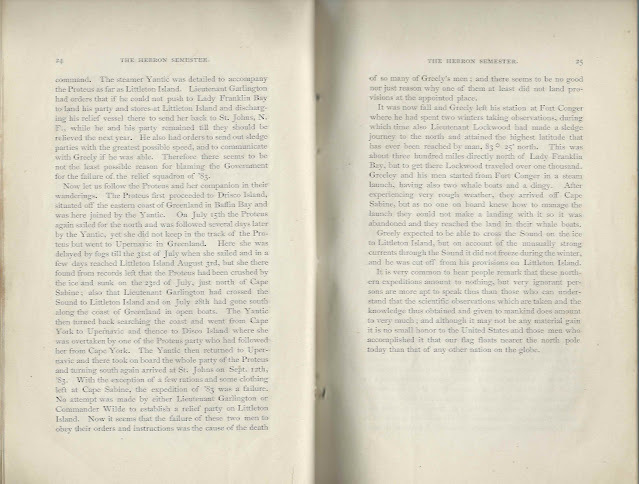 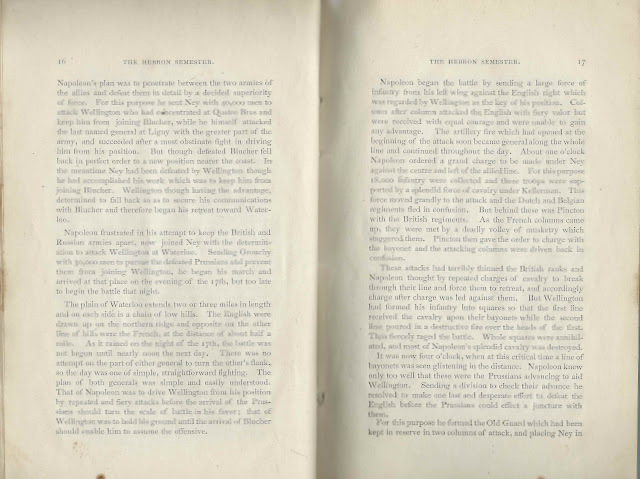 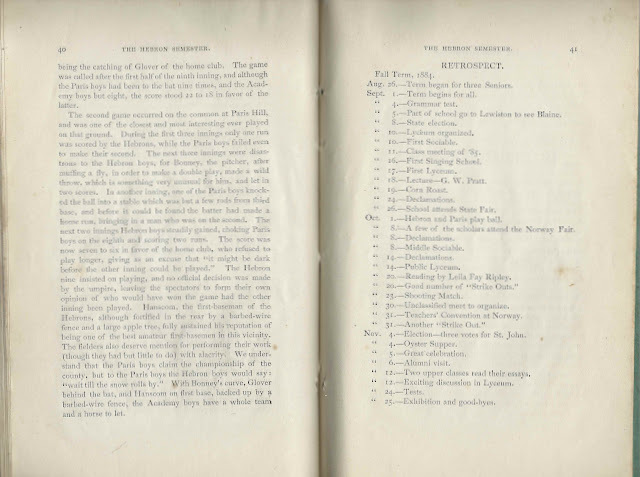 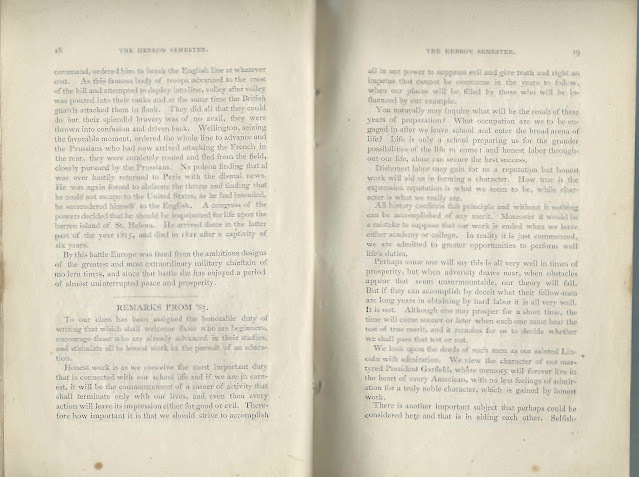 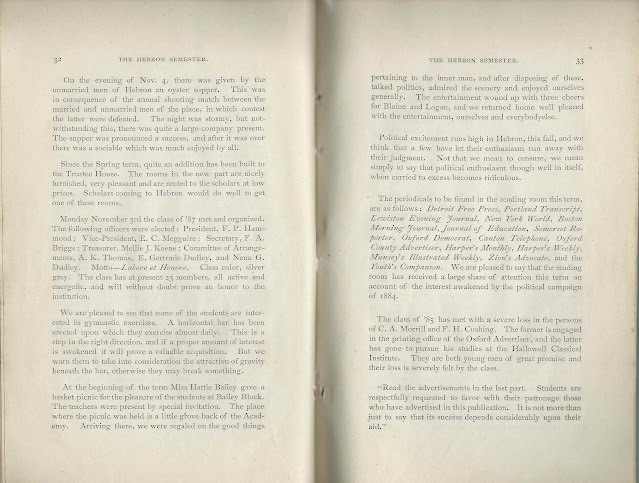 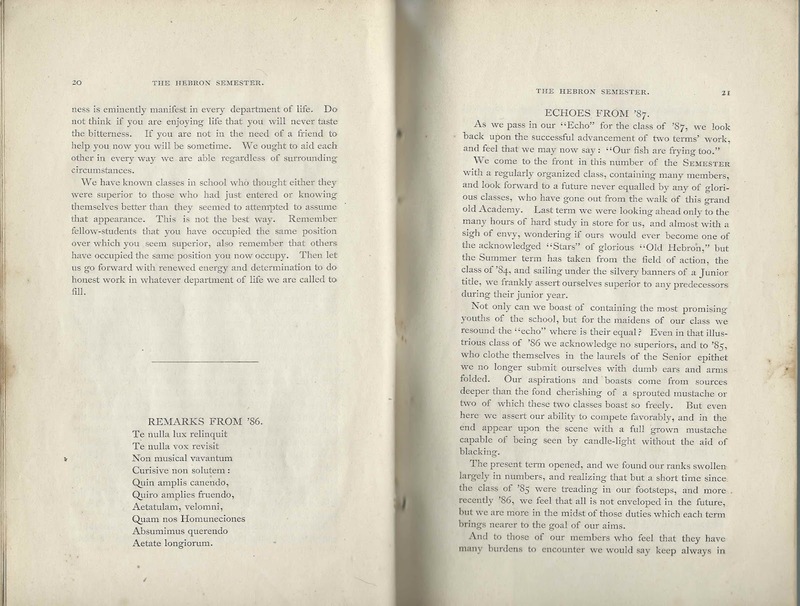 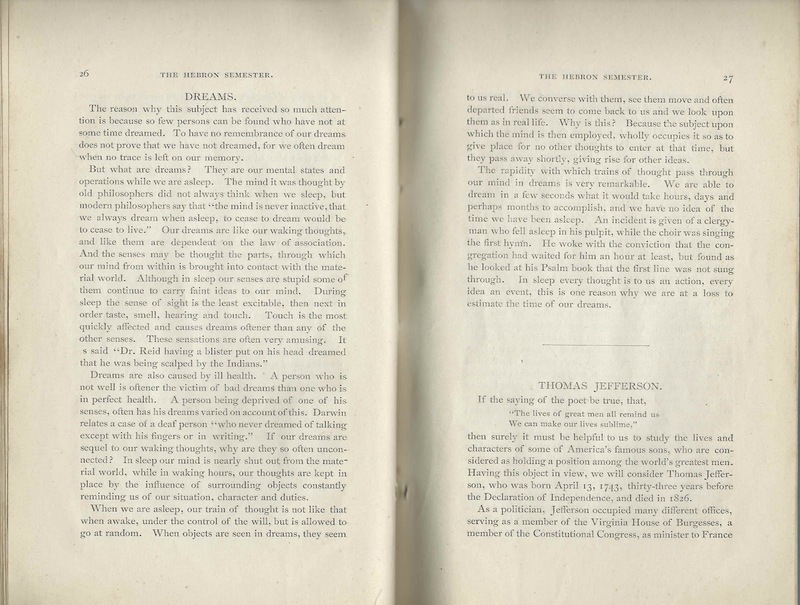 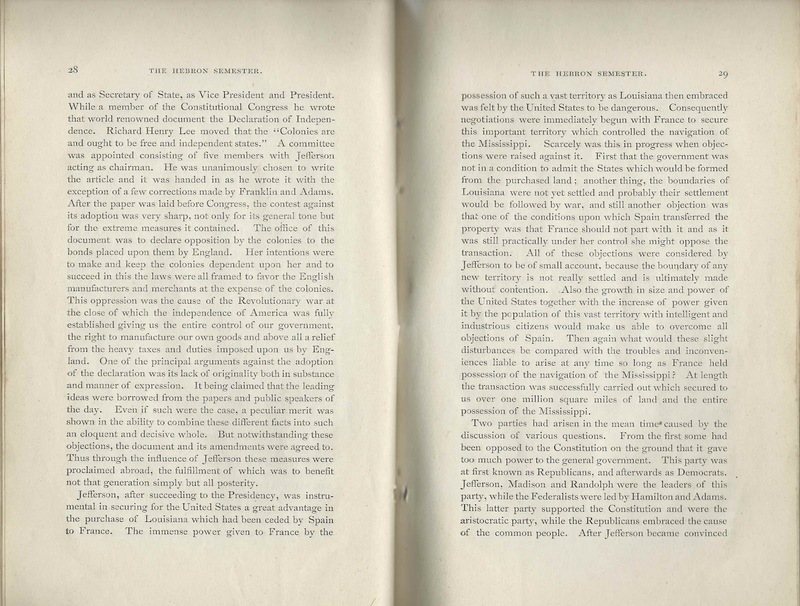 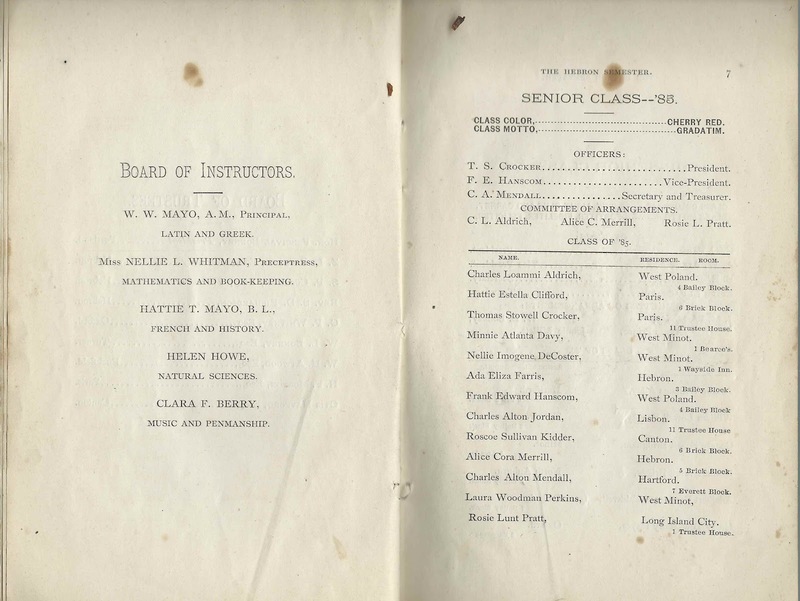 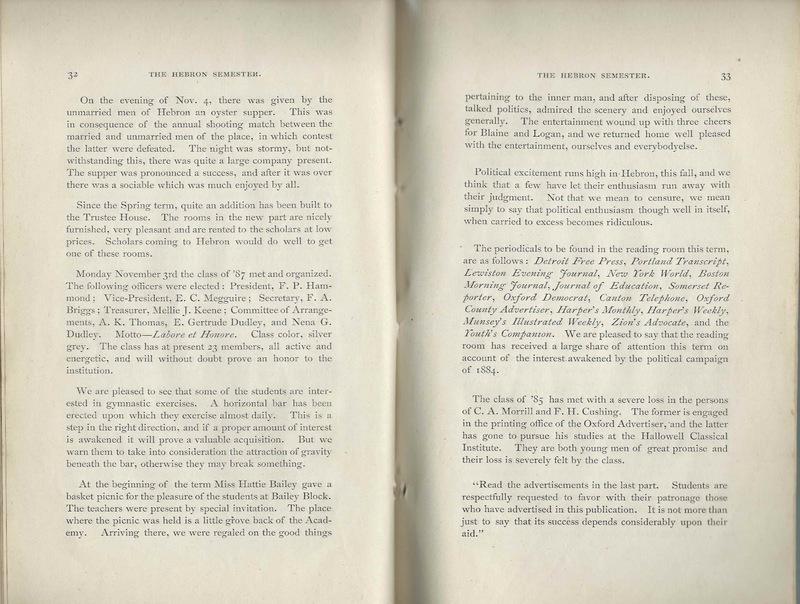 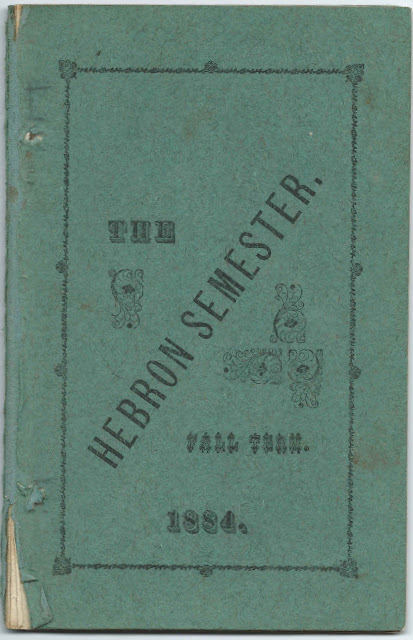 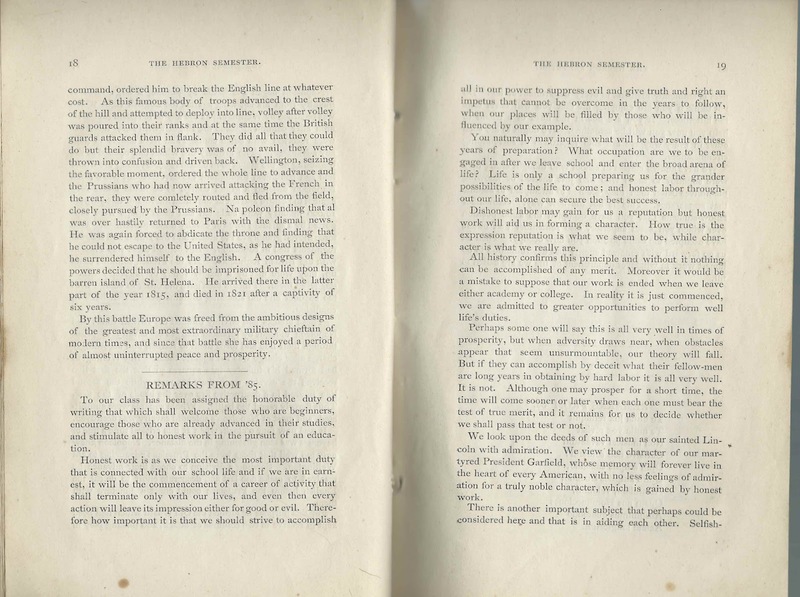 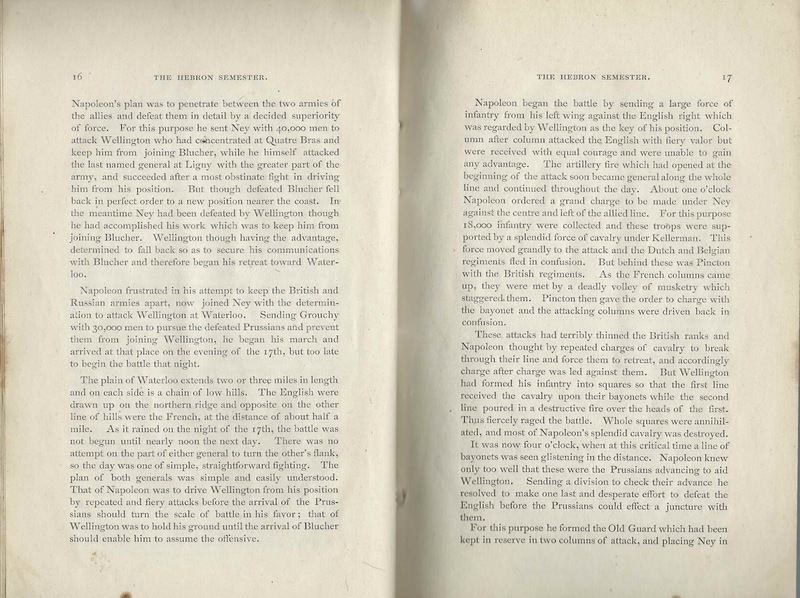 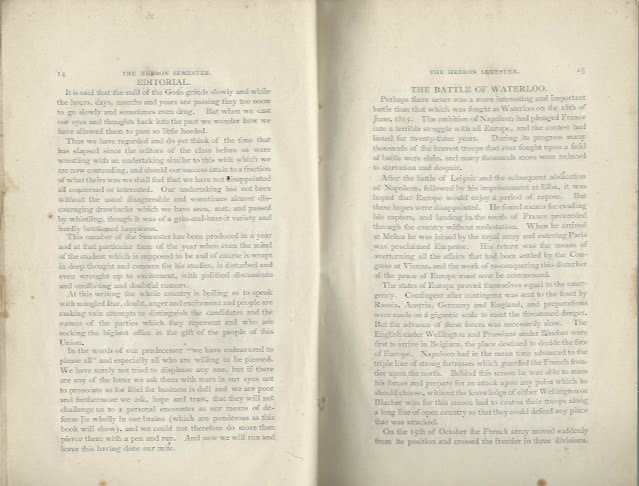 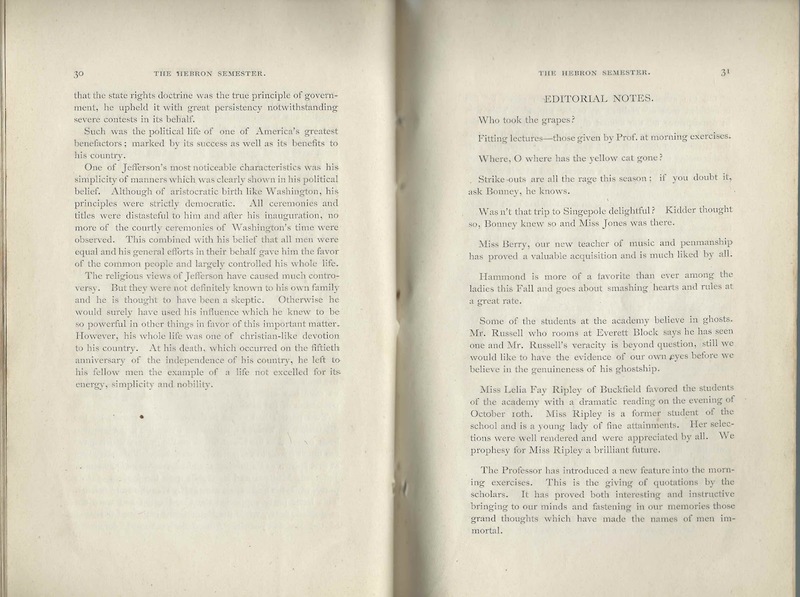 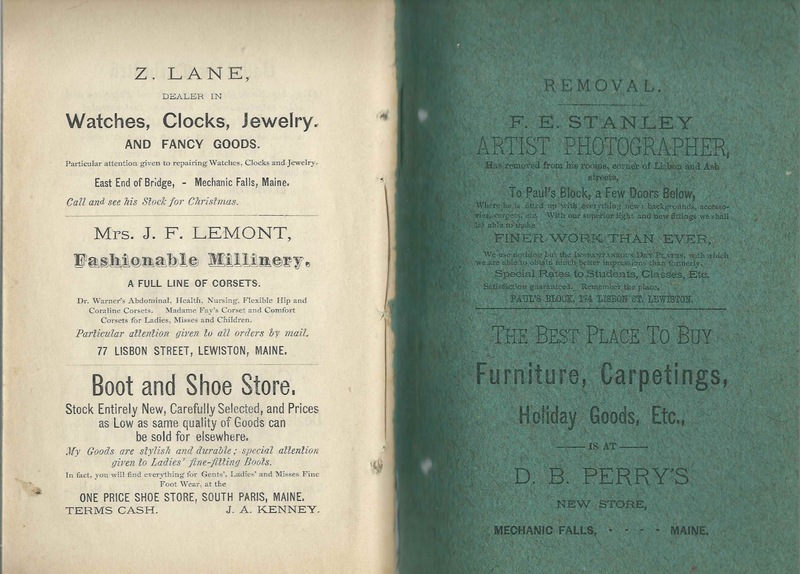 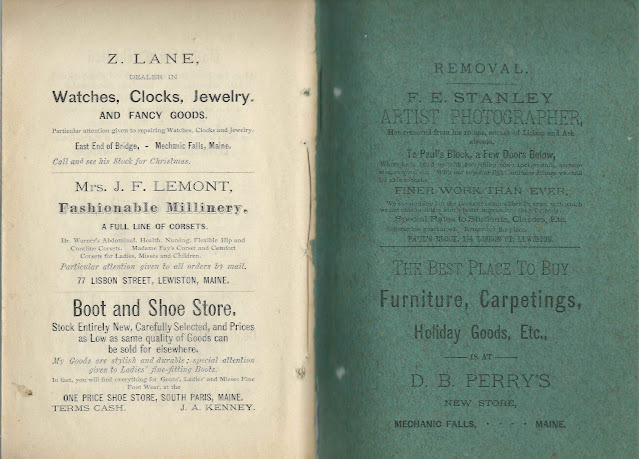 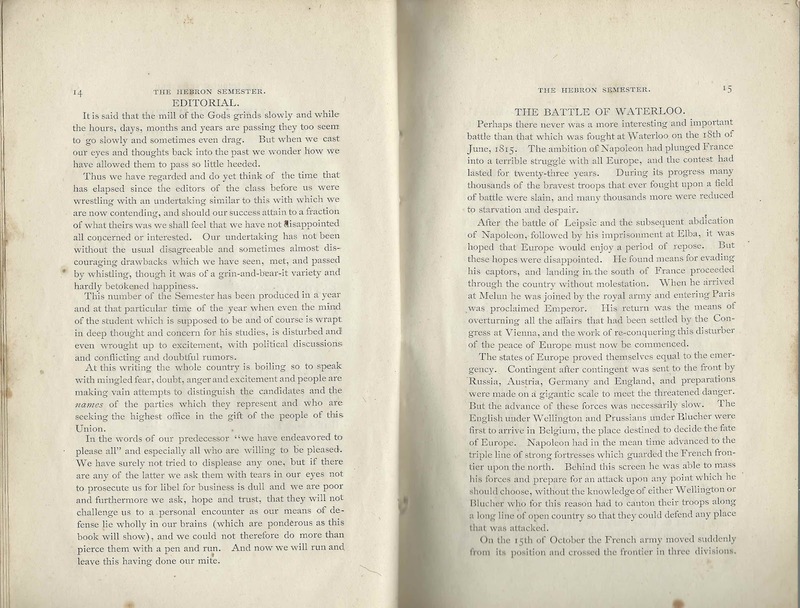 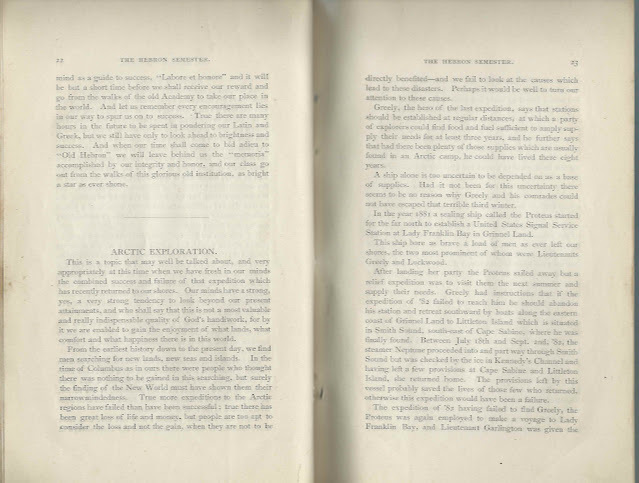 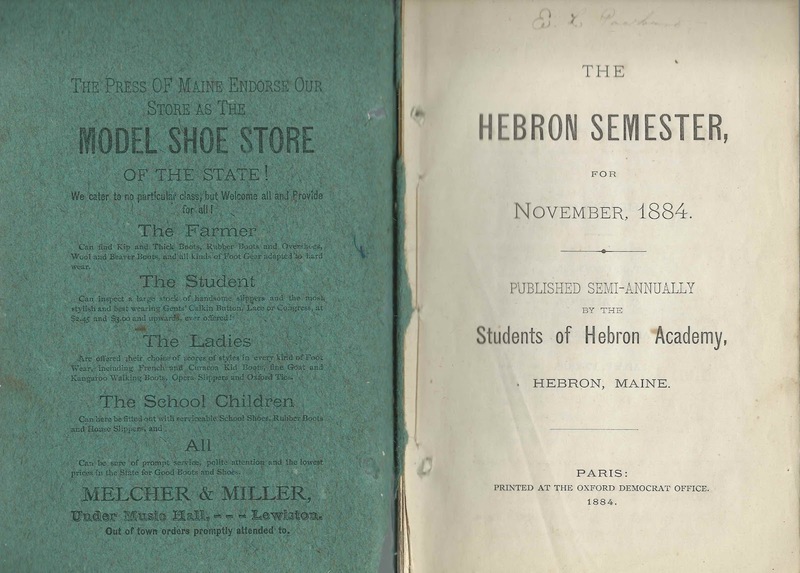 Fall 1884 issue of The Hebron Semester, a student publication at Hebron Academy at Hebron, Maine. 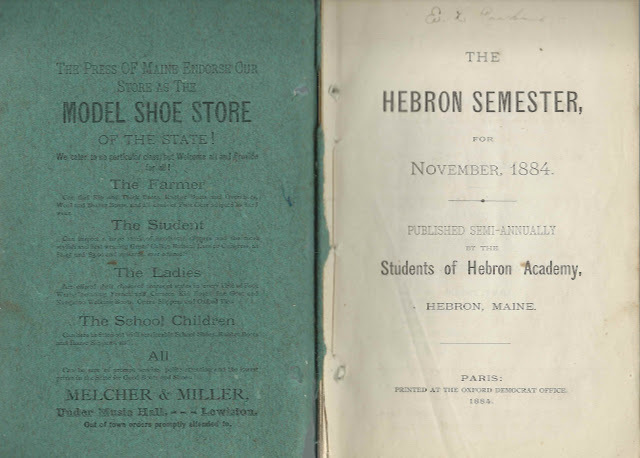 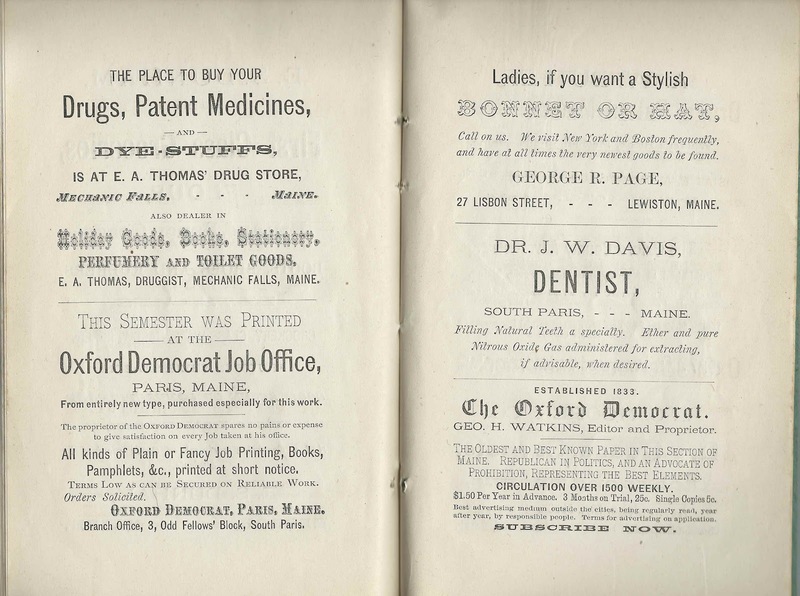 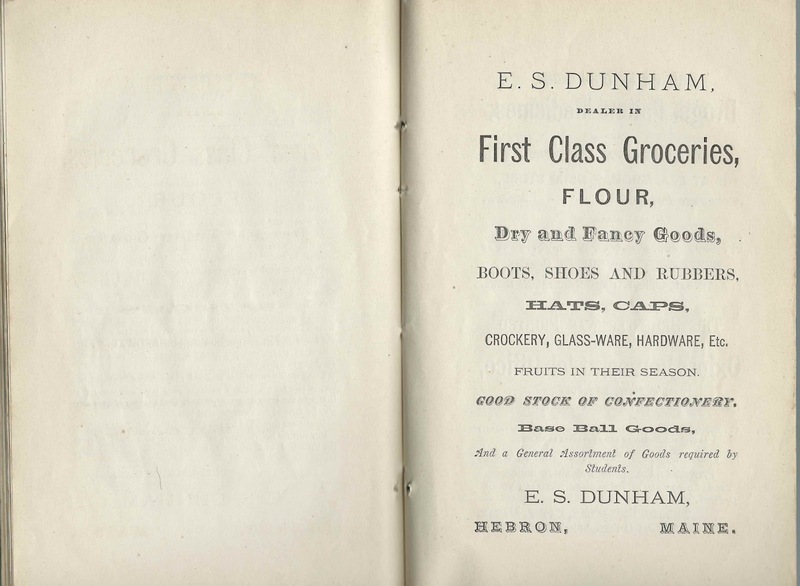 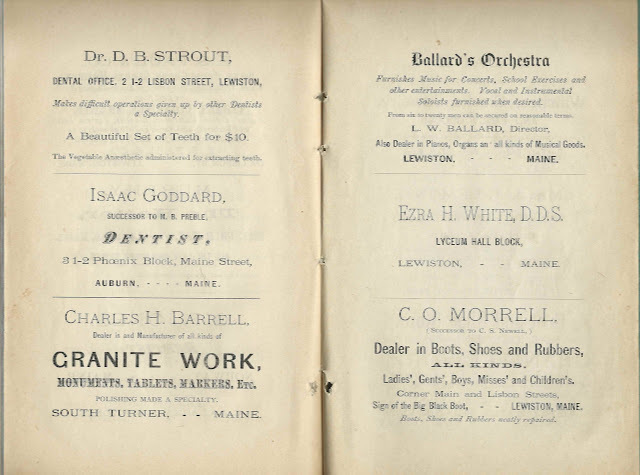 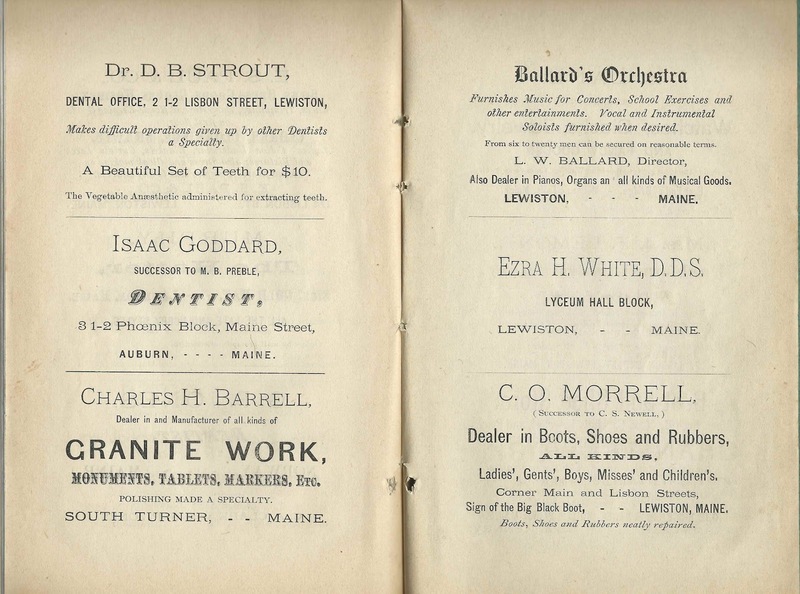 This copy was owned by student Edith Lulu Packard of Hebron, Maine, who wrote her name on the title page. 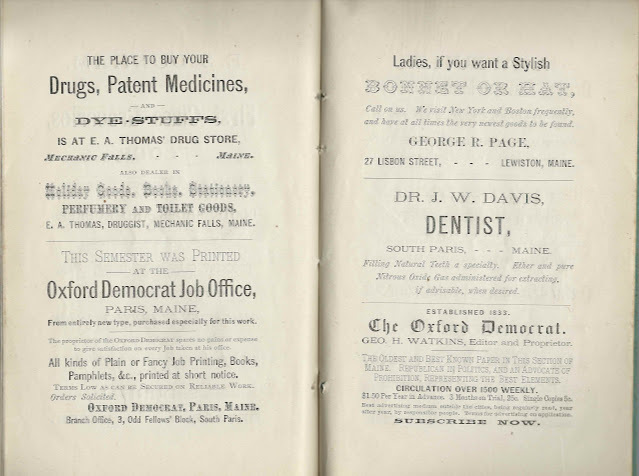 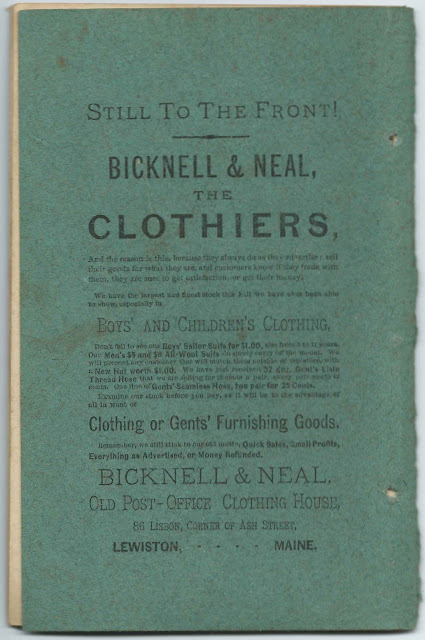 The issue measures approximately 8-3/4" by 5-3/4" and contains 43 pages, plus 8 pages of advertising, as well as advertising on the inside front cover, the inside back cover and the back cover. 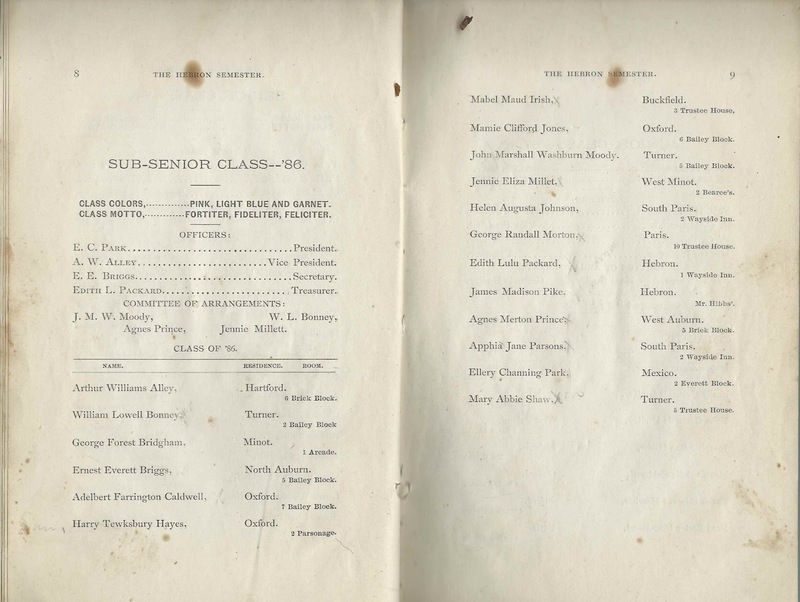 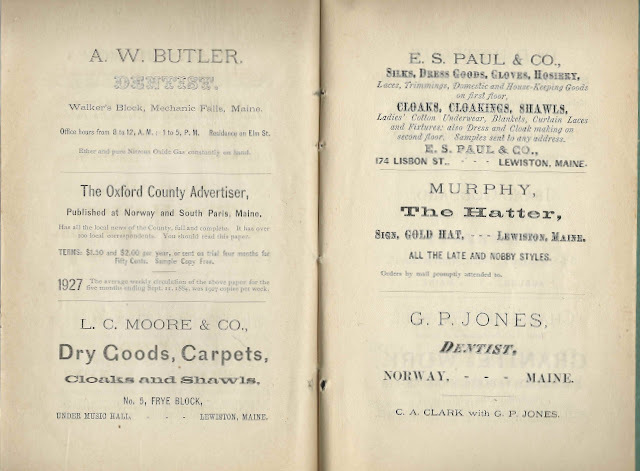 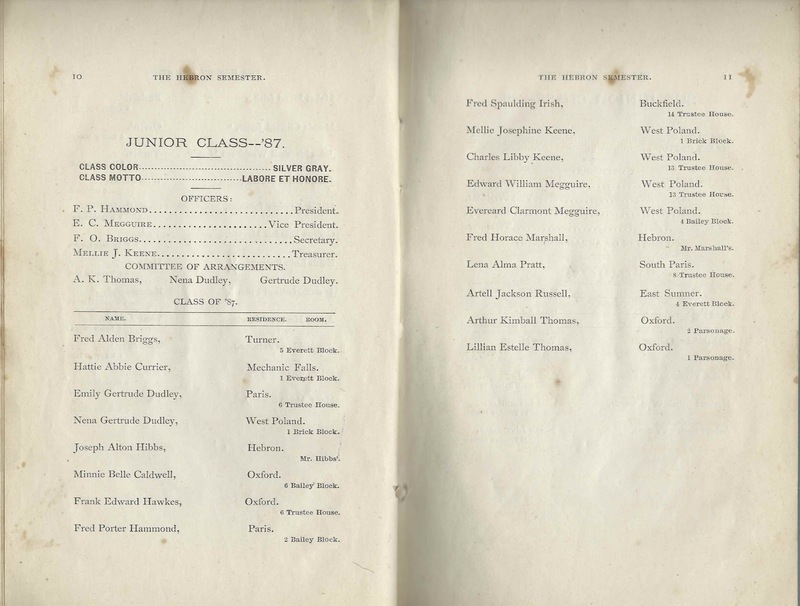 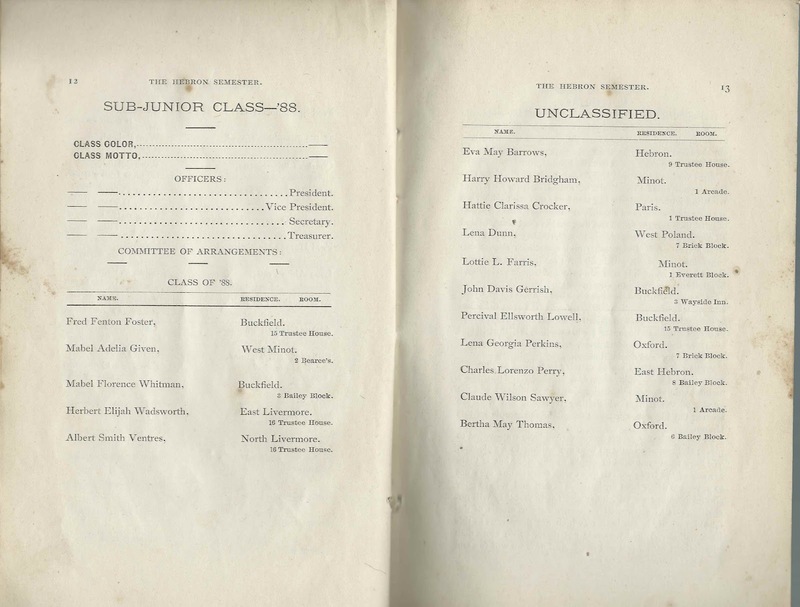 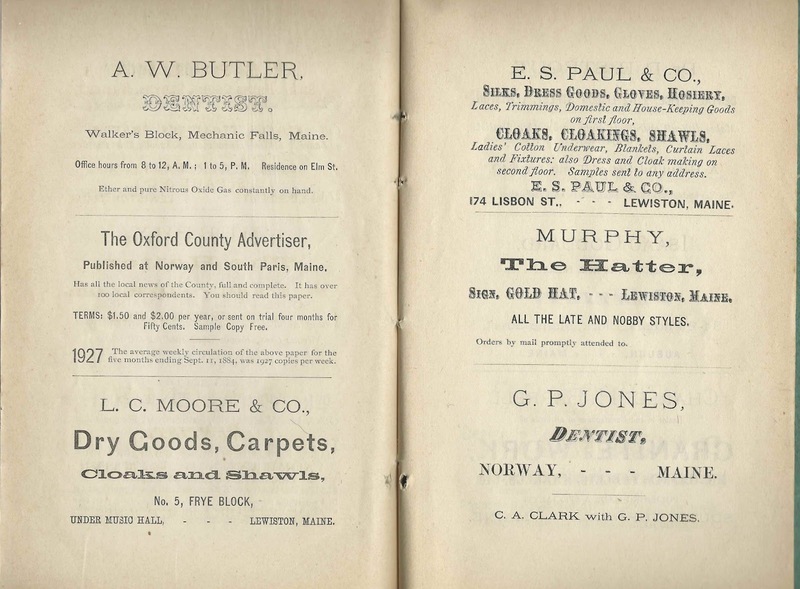 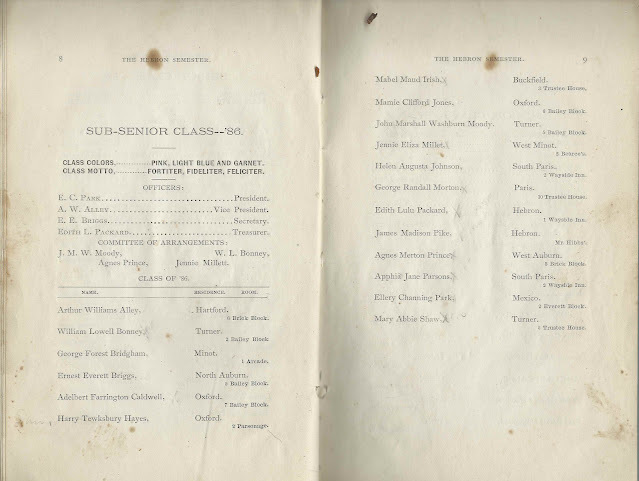 The Class of 1885 has lost two students, Clarence Arthur Morrill and Frederick Hale Cushing; the former to the printing office of the Oxford Advertiser and the latter to Hallowell Classical Institute.